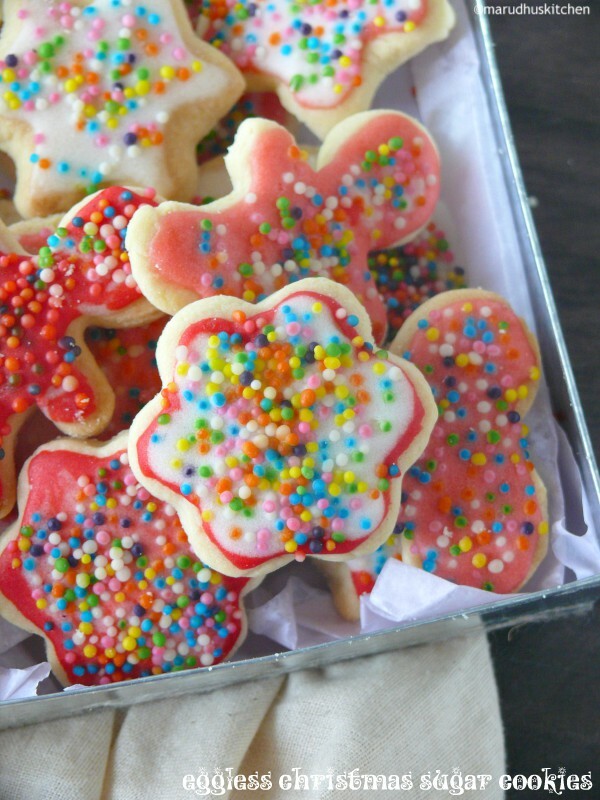 Christmas is all in the que approaching fast in the festive game and this eggless christmas sugar cookies is one of the land mark recipes made during christmas. A cookie with egg is all the one I needed to try but this time also some how I missed it and went in for eggless. 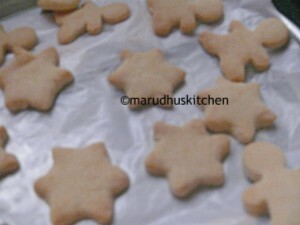 This eggless christmas sugar cookies is such an easy-peasy recipe to try with all readily home-available ingredients. when I made this for the first time I made it for one cup amount of all purpose flour and it came out as buttery-sugary cookies. The next time I increased the flour amount to half cup more but while kneading the dough it became dry so was forced to add milk and make the dough. 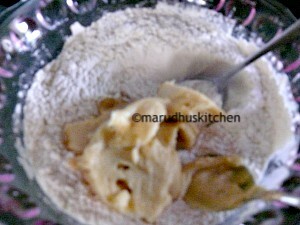 When you are making try it with one and quarter cups of maida and send me the feedback about how it has turned out. 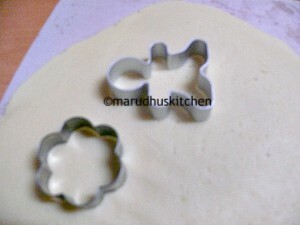 Making royal icing is very simple that too eggless version is so very easy but tasty. Decorating part is such a fun but this time I had some other work that came up on the way,so I made it simple by filling with icing and sprinkling the sugar sprinkles. I was totally satisfied with the colourful decoration and I love to learn the intricate decorations in future. 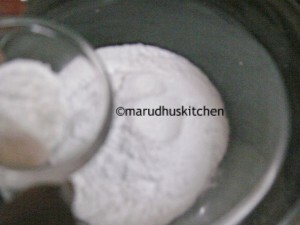 1.Take a bowl with all-purpose flour add salt and baking powder mix well. 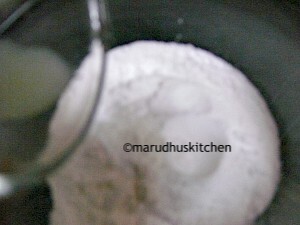 2.In another bowl add powdered sugar with butter and vanilla essence and mix well till combined. 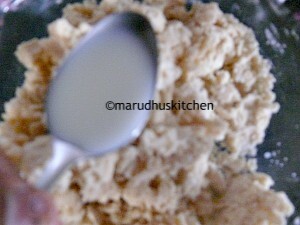 3.Add this creamed mixture to the dry ingredients and form a smooth and soft dough by adding needed milk. 4.Now in a clean surface place a parchment paper and above it keep the dough and over it place another paper and roll with a rolling pin(You can make thin or little thick cookies). 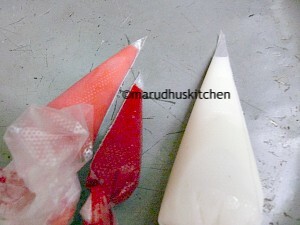 5.After rolling take out the first sheet of paper and make shapes by cutting with suitable cutters. 6.In-between preheat oven at 160 degrees celsius for 10 minutes. 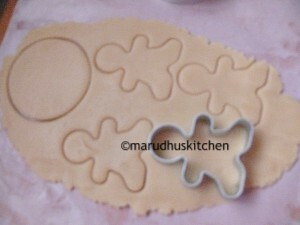 7.In a baking tray place a parchment paper and over it arrange the cookies at intervals. 8.When the oven preheats keep this tray to bake for 12-15 minutes at 160 degrees. 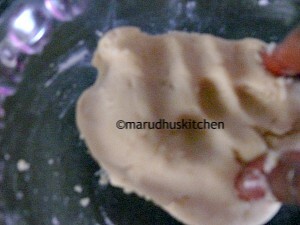 9.Take out with nice aroma and edges golden and let it cool. 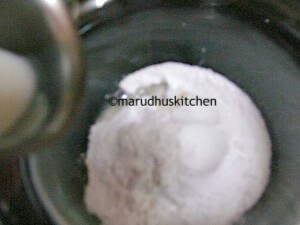 10.Take a cup of powdered sugar in a cup add cornflour,lemon juice and needed milk and mix to make a flowing thick consistency. 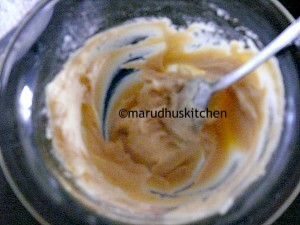 11.Take needed quantities of this icing in separate cups and add the colour you want and mix it. 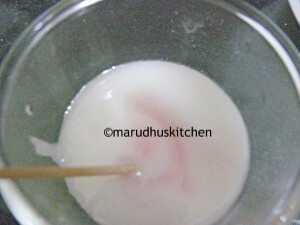 12.For mixing colours I have used gel colour and have mixed it by taking small bit with a tooth pick. 13.Finally pour it in separate piping bags and keep ready. 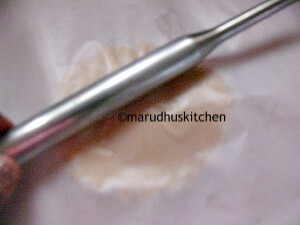 14.When decorating make a very small cut at the tip and decorate according to your imagination,allow to set and serve.